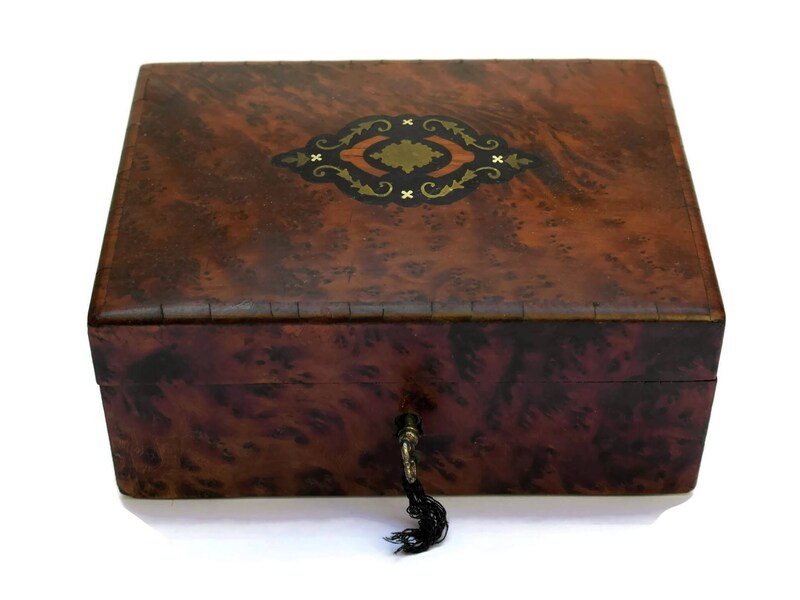 19th Century Antique French Marquetry Wood Jewellery Box. French Boudoir Decor. 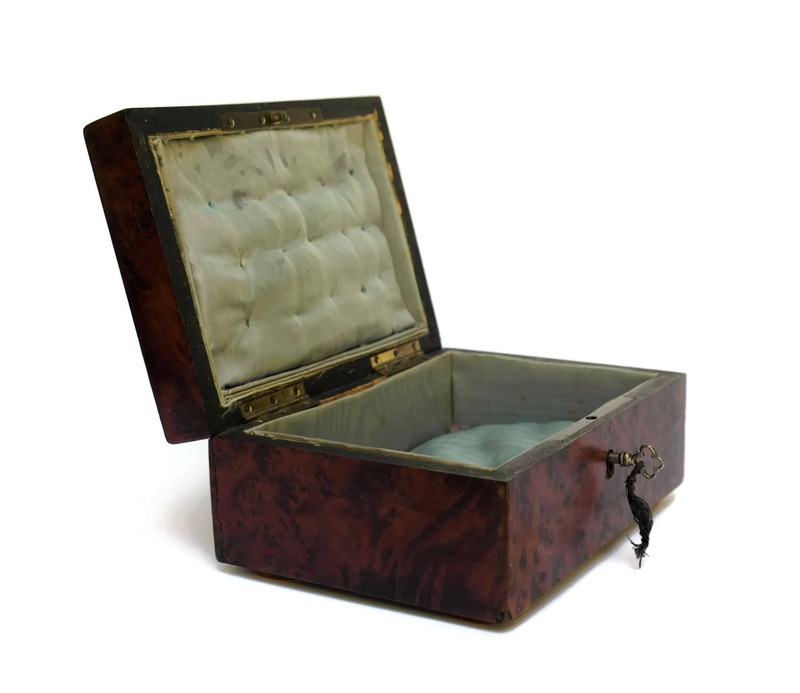 An elegant antique French jewellery box dating to the late 1800's. 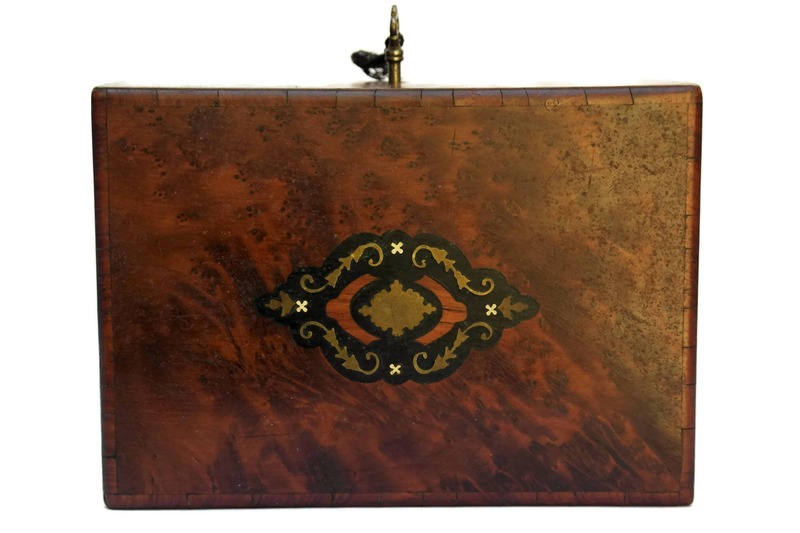 It has a rich walnut veneer exterior and the lid has been decorated with an exquisite marquetry inlay of ebony and brass. The interior has been lined in pale blue cushioned silk. The hinged box has its original lock and key. 7" Long x 3" Tall x 4 1/2" Wide (17,5 cm x 8 cm x 10,5 cm). 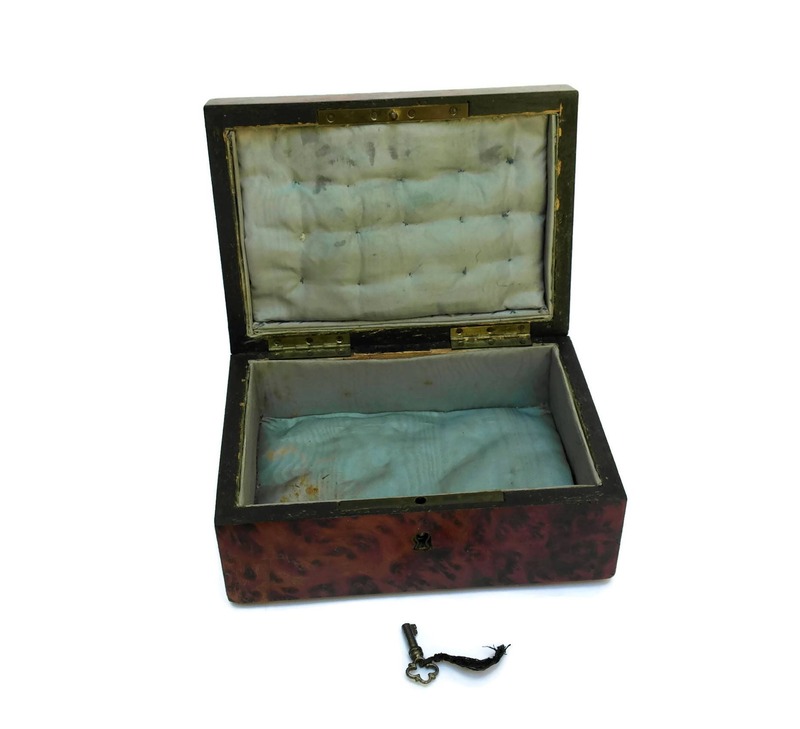 The wooden jewellery box is in good condition with some signs of age and wear including patina and light scratches and marks to the wood. The interior silk lining is aged and stained in places. The key does not turn in the lock. 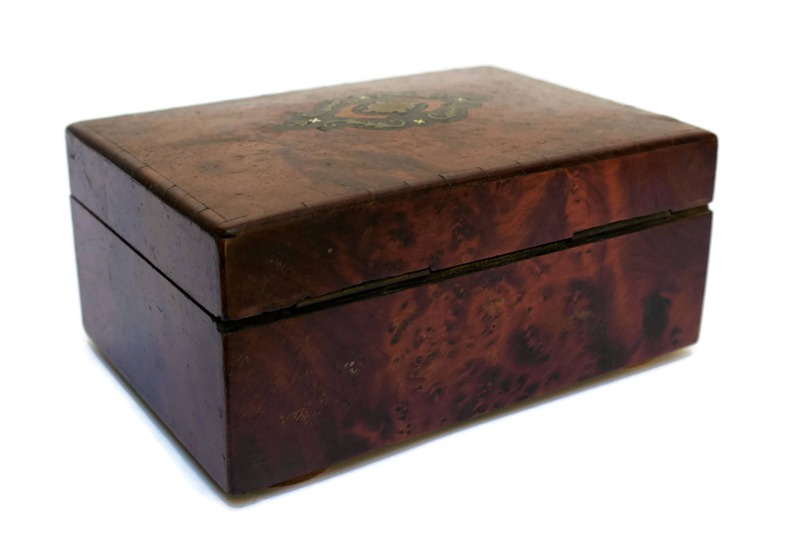 Item: 19th Century Antique French Marquetry Wood Jewellery Box. French Boudoir Decor.